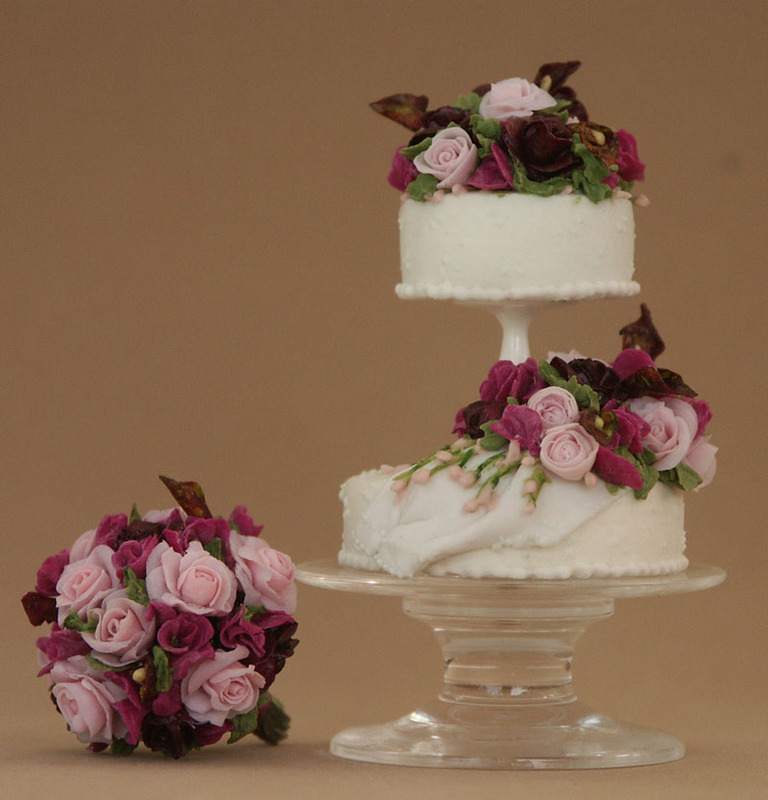 This unique stunning, modern 2-tier wedding cake features black baccara roses, pink peonies, deep burgundy calla lilies, pink roses and fuschia sweet peas adorning lace-bordered 'fondant' draping. The tiers are separated by a beautifully turned faux-marble white column. These gorgeous flowers also make a beautiful matching Bride's Bouquet. There are over 3 dozen hand-crafted cold porcelain flowers in total. A matching Groom's Boutiniere is not shown but will be included.